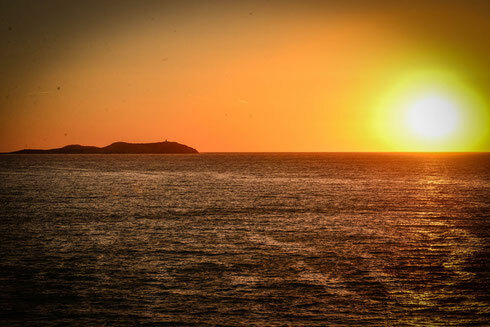 With the summer season off and running, Café Mambo is hosting possibly some of the biggest pre-parties on the island throughout the season as it’s once again the official host of Pacha pre-parties. Mondays will see Aoki’s Playhouse featuring Steve Aoki and special guests, whilst Tuesdays will feature Together & Defected In The House, ahead of their party at Amnesia. Wednesdays will feature Martin Solveig’s My House at Pacha pre-parties, Thursday will see the return of David Guetta’s F*** Me I’m Famous, Fridays will host Insane at Pacha’s pre-parties and Saturdays will feature Bob Sinclar’s Paris By Night in support of Pure Pacha, which will feature exclusive decor and Bob brings a team of dancers. Sundays sees a variety of events through the evening, of which the return of Solomon+1 ahead of his party at Pacha is one of the highlights. Mambo has followed last year’s opening of Sushi Mambo, a sushi fusion restaurant combining Japanese and Peruvian flavours, with a brand new Cafe venue Bondi, in the fountain square in San Antonio, featuring a creative health-conscious menu using local and organic products, including cold-pressed juices and an extensive grill menu. Both are open daily and offer a relaxed and delicious option for sunset worshipping as well as a great location to enjoy pre-party nibbles and cocktails.